DEUTSCHE ELEKTRONISCHE MUSIK: EXPERIMENTAL GERMAN ROCK AND ELECTRONIC MUSIC 1972-1983. Deutsche Elektronische Musik: Experimental German Rock and Electronic Music 1972-83. Nowadays, the period between 1968 and the early eighties is regarded as a golden period for German music, and is remembered as period when groundbreaking artists and groups like Amon Düül II, Can, Cluster, Deuter, Faust, Harmonia, Neu!, Popul Vuh and Tangerine Dream released innovative albums that would influence and inspire future generations of musicians. This music ranged from Krautrock to the Berlin and Düsseldorf Schools of Electronic Music, and nowadays, are regarded as the holy trinity of modern German music. Despite the importance of Krautrock and the Berlin and Düsseldorf Schools of Electronic Music, many of the leading lights of these scenes didn’t enjoy the critical acclaim and commercial success that their innovative music deserved. It was only much later, that a new generation of musicians and record buyers discovered the wealth of groundbreaking music that had been recorded between 1968 and the early eighties, and realised its importance. Here were albums that were innovative and way ahead of the musical curve, but sadly, in many cases had failed to find an audience. However, this was about to change. Belatedly, a new generation of musicians, record collectors and journalists, began to fly the flag for Krautrock and also the Berlin and Düsseldorf Schools of Electronic Music. Suddenly, the music started to influence a new generation of musicians and was growing in popularity. Before long, the music was receiving the recognition it deserved and eventually few record companies released compilations of music from Germany’s golden era. This included Soul Jazz Records who released Deutsche Elektronische Musik: Experimental German Rock and Electronic Music 1972-83 in April 2010. It was the first of a trio two CD sets released by Soul Jazz Records, and was so popular that it’s almost impossible to find a copy of Deutsche Elektronische Musik: Experimental German Rock and Electronic Music 1972-83. Even Soul Jazz Records didn’t have any copies of this classic compilation which has been out of print for many years. That was a great shame, as they continued to receive emails from people wanting to buy a copy of the compilation. Sadly, they were out of luck. Eventually, Soul Jazz Records relented and released the 2018 edition of Deutsche Elektronische Musik: Experimental German Rock and Electronic Music 1972-83, which has been remastered and features all the original artwork and tracks. It’s a veritable musical feast, and a reminder one the most important periods in German music. As 1968 dawned, a musical revolution taking place on both sides of the Atlantic, and many young West Germans wished that something similar was happening in their home country as they couldn’t relate to the music that provided the soundtrack to their daily life. Especially the Schlager music that their parents listened to and which could be heard on television and radio. It had no relevance to them, but this was about to change in 1968, when fifty years ago, the German rock and experimental electronic music scene was born. Its roots can be traced to the counter-cultural revolution that was taking place in cities across the world during 1968. West German youths watched as s students and workers in Mexico, Paris and Prague demonstrated against everything from mainstream society and the war in Vietnam, to imperialism and supposed bourgeois values. Meanwhile, drug experimentation and social change had transformed music since the birth of the counter-cultural revolution. Soon, West Germany would also witness its very own cultural revolution. West Germany’s cultural revolution was fuelled by the protests that had swept the world, and saw students and workers form an unlikely alliance as they stood shoulder-to-shoulder in an effort tried to bring about change. However, this wasn’t the only reason the latest generations of West Germans wanted to bring about change. They also wanted to rid themselves of the guilt of war, despite being born in the post war years. Many of this new generation had grownup all too aware of the recent Nazi atrocities, and saw the guilt etched into their parent’s generation faces. Mostly this guilt wasn’t because of what they had done, but what they hadn’t tried to stop from happening. The new generation also felt frustrated that many perpetrators of the atrocities had been allowed to reintegrate back into German society, and many now held powerful positions. All this knowledge became guilt, which weighed heavy on their young shoulders. That was why when many of the young musicians who created the new music that was free from the past, said that it was borne out of the sense of cultural nothingness they felt. This was about to change as many German youth turned their back on mainstream society. In Kommune 1 there was a liberal attitude to artistic freedom, and enthusiasm was valued more than artistic ability. As a result, Amon Düül’s lineup was fluid, with anyone who lived in the commune able to join could be part of the group. 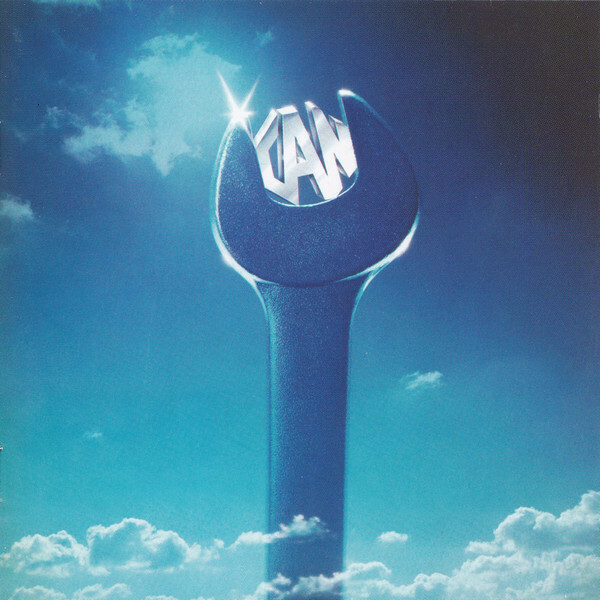 Meanwhile, in other parts of West Germany groups like Can and Faust were formed and went on to become leading lights of this new musical movement. The music was influenced and inspired over the next few years by everything from electronic music pioneer Karlheinz Stockhausen to electronic and experimental music, free jazz, psychedelia, progressive rock, tape music and the Canterbury Scene. This new music would take shape over between 1968 right through to the early eighties, and would evolve during this period. By 1979, Krautrock was in the past, but the Berlin and Düsseldorf Schools of Electronic Music continued to blossom. Deutsche Elektronische Musik: Experimental German Rock and Electronic Music 1972-83 which has just been reissued by Soul Jazz Records is comprehensive overview of what was an important period and indeed, golden era that has influenced and inspired several generations of musicians. They feature on Deutsche Elektronische Musik: Experimental German Rock and Electronic Music 1972-83 which is a two CD set that features music from familiar faces and what will be new names for many people. Opening Deutsche Elektronische Musik: Experimental German Rock and Electronic Music 1972-83 is A Spectacle by Can, who were one of the giants of Krautrock. They enjoyed a career that spanned three decades but split-up for the first time in 1978 after releasing one of their weakest albums Can. By then, bassist Holger Czukay was no longer part of the group, and had been replaced Rosko Gee. He and Rebop Kwaku Baah had both been members of Traffic, and had joined Can, in time to record Saw Delight which was released in 1977. Sadly, the three albums to feature the former members of Traffic were Can’s weakest, and A Spectacle was one of the highlights of Can. It’s best described as funky, futuristic, bluesy, cinematic and dancefloor friendly Krautrock. 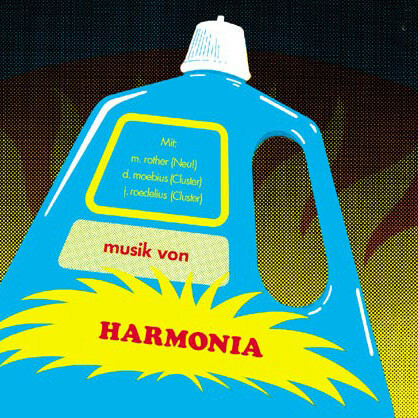 Harmonia was one of the first German supergroups and featured Hans-Joachim Roedelius and Dieter Moebius of Cluster and Michael Rother of Neu! In 1974, Harmonia released their debut album Musik Von Harmonia which is regarded as a Krautrock classic. It featured Dino where Michael Rother adds funky guitar licks to as drums drive this mesmeric and lysergic slice of Krautrock along. Kollectiv were a Krautrock fusion band who only released the one album during their career. This was Kollectiv which was released by Brain in 1973 and featured Rambo Zambo. It’s a much jazzier example of Krautrock and showcases a talented and versatile band whose playing is always inventive. Sadly, original copies of Kollectiv can cost £650, but there’s a reissue available of this hidden gem of an album. 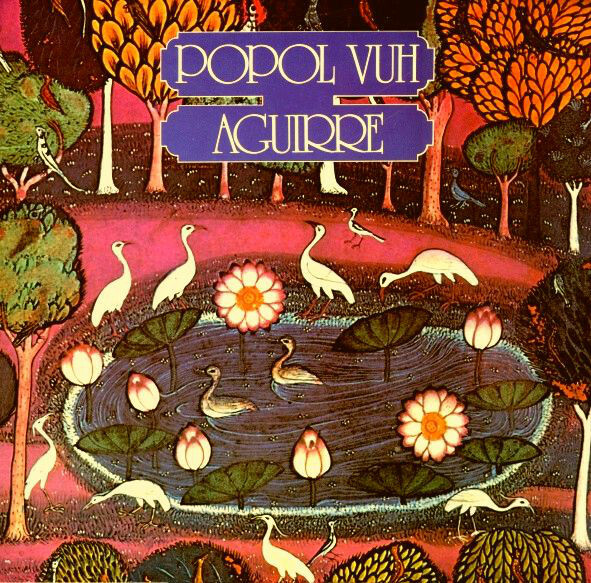 In 1975, Popol Vuh released Aguirre which was the soundtrack to the Werner Herzog movie Aguirre, Der Zorn Gottes on the PDU label. One of the highlights of the soundtrack was Morgengruss where Popol Vuh combine elements of ambient, Krautrock and progressive rock to create an atmospheric and cinematic track that is rich in imagery. Conrad Schnitzler was another of West Germany’s musical pioneers and in 1980 released the 12” single Auf Dem Schwarzen Kanal on RCA Victor. Sometimes, it sounds as if Kraftwerk have influenced Conrad Schnitzler on Auf Dem Schwarzen Kanal which is an experimental fusion of electronic and industrial music. The result is a futuristic and otherworldly sounding track that is dark and dramatic. 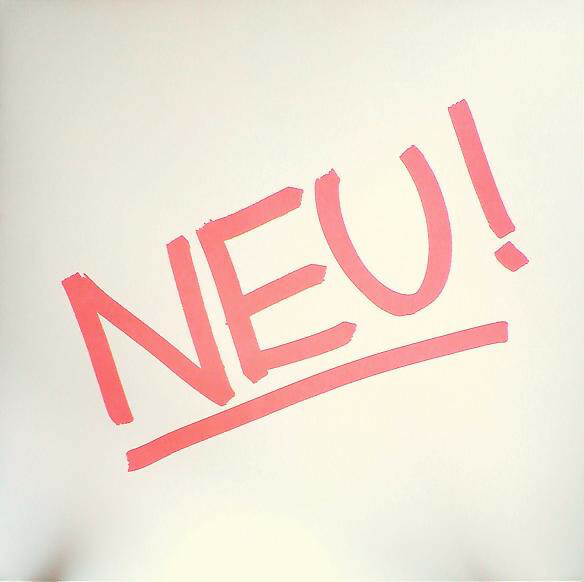 After leaving Kraftwerk having played on their 1971 album Kraftwerk 1, guitarist Michael Rother and drummer Klaus Dinger formed a new group Neu! When they released their eponymous debut album it opened with Hallogallo a ten minute epic where Klaus Dinger’s drums and Michael Rother’s guitar are like yin and yang. They play their part in what’s one Neu!’s finest moments and a future Krautrock classic. Hans-Joachim Roedelius composed Heiße Lippen which featured on Cluster’s third album Zuckerzeit, which was released on Brain Records in 1974. 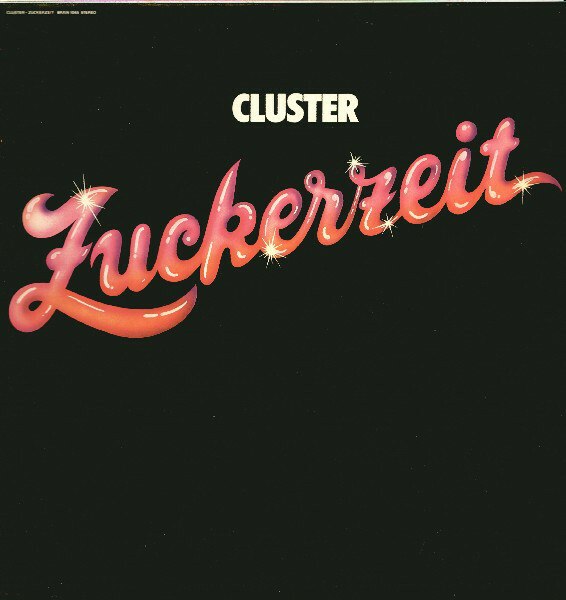 Zuckerzeit was Cluster’s third and album, and like its two predecessors, is nowadays regarded as Krautrock classic. One of Zuckerzeit’s highlights is the hypnotic and contemporary sounding Heiße Lippen which is a fusion of Krautrock and electronica. 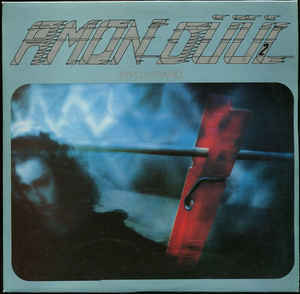 Amon Düül begat Amon Düül II who released their seventh studio album Vive La Trance on United Artists Records in 1973. It featured Fly United, where jangling guitars are part of this rocky slice psychedelic Krautrock. Fly United is part of underrated album from Amon Düül II, which is often overlooked in favour of Phallus Dei, Yeti, Wolf City and Tanz Der Lemminge. 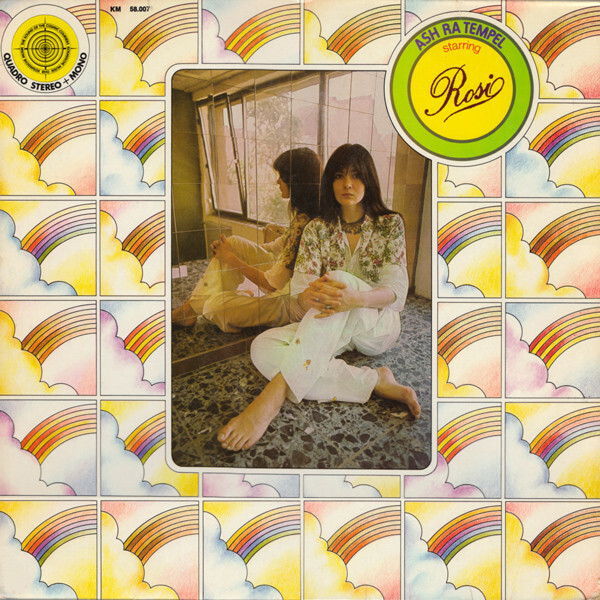 In 1973, Ash Ra Tempel released their fourth album Starring Rosi on Rolf-Ulrich Kaiser and Gille Lettmann’s Kosmische Musik. It was the first album to feature vocalist and harpist Rosi Müller. She plays a starring role on Daydream, adding a soliloquy on this haunting, dreamy and understated track where Ash Ra Tempel effectively combine psychedelia and space rock. 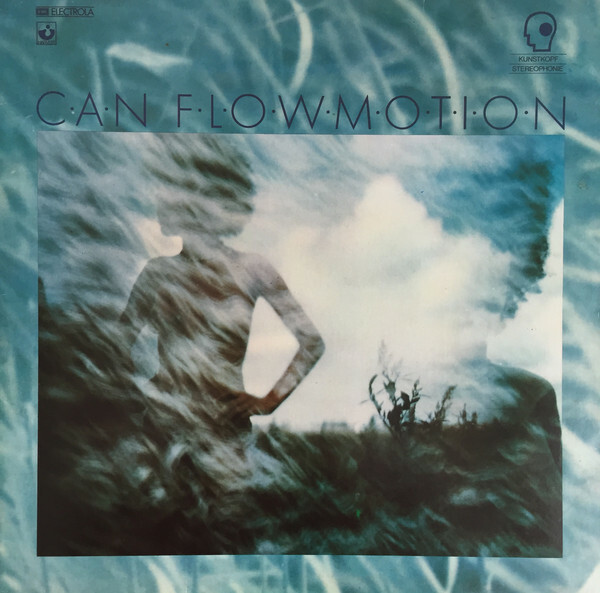 When Can released their 1976 album Flow Motion on Harvest-EMI Electrola, it opened with I Want More, which featured vocals from Pink Floyd’s Peter Gilmour and René Tinner. They’re combined with a choppy, funky and dancefloor friendly arrangement that is very different to the music on Can’s earlier albums. I Want More is a melodic and memorable anthem that could still fill a dancefloor. 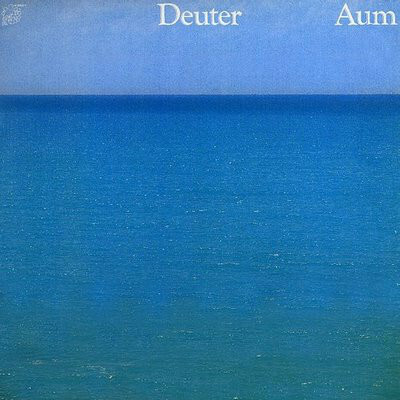 Closing disc two of Deutsche Elektronische Musik: Experimental German Rock and Electronic Music 1972-83 is Soham a track from Dueter’s sophomore album Aum. It was released on the Kuckuck label in 1972 and nowadays is regarded as a classic. That is no surprise given the quality of Soham, where Deuter combines elements of ambient, avant-garde and the Berlin School of electronic music to create a soundscape that is atmospheric, cinematic and spiritual. Soham is also the perfect introduction to Deuter, a true musical pioneer who is still making music forty-six years later. This includes Amon Düül II, Ash Ra Tempel, Can, Cluster, Conrad Schnitzler, Deuter, Faust, Harmonia, Kollectiv, Neu! and Popul Vuh and Roedelius who are all musical pioneers and released ambitious and innovative music. Some of these artists and band enjoyed long and illustrious careers, while others only released the one album. That was the case with Kollectiv, whose eponymous debut album was a hidden gem that is well worth discovering. They’re not alone, and the same can be said of each and every artist that features on Deutsche Elektronische Musik: Experimental German Rock and Electronic Music 1972-83. 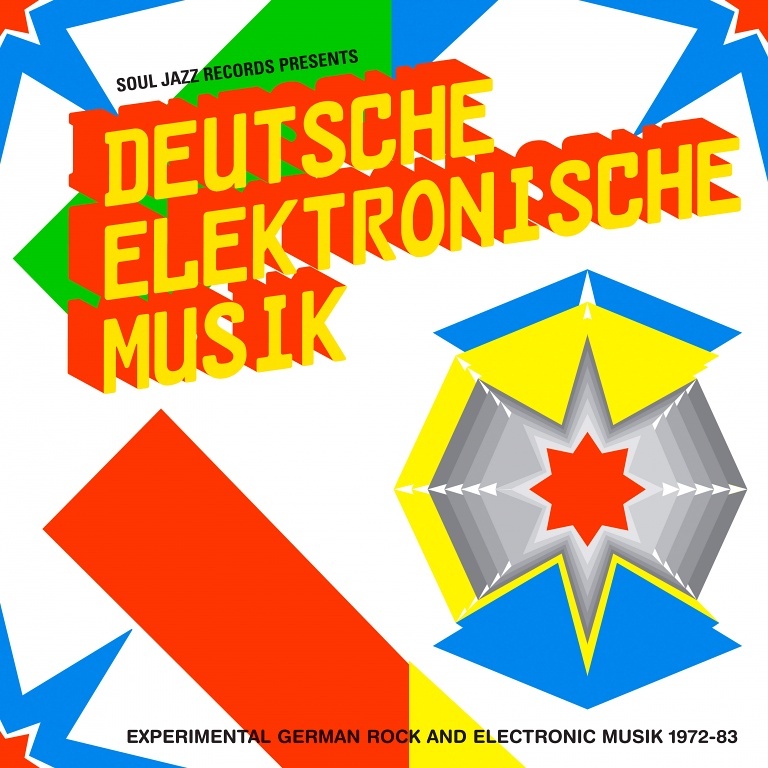 Little did Soul Jazz Records realise when they originally released Deutsche Elektronische Musik: Experimental German Rock and Electronic Music 1972-83 in 2010, that the compilation would become a classic, and there would be two further instalments in the series. Hopefully, there will be further instalments in the Deutsche Elektronische Musik series, as there’s plenty of quality music for a many more compilations. Meanwhile, Deutsche Elektronische Musik: Experimental German Rock and Electronic Music 1972-83 which is a classic compilation is a veritable musical feast that offers a tantalising taste of the ambitious and innovative music that these musical pioneers released during their careers, and which even today continues influence and inspire a new generations of musicians. ← TOM WAITS -CLOSING TIME.